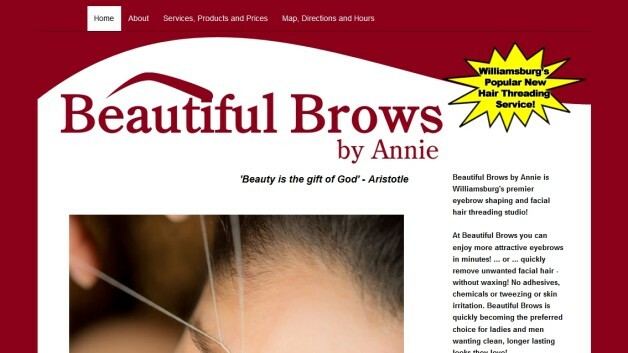 Annie wanted a website that highlighted and introduced people to her unique hair removal service: the ancient art of hair threading. She had existing print collateral that she wanted her new website to match, to solidify her brand. We created a WordPress CMS (Content Management System) website that matched her printed materials, and gave visitors an overview of her services.